Your Father knows what things you have need of. 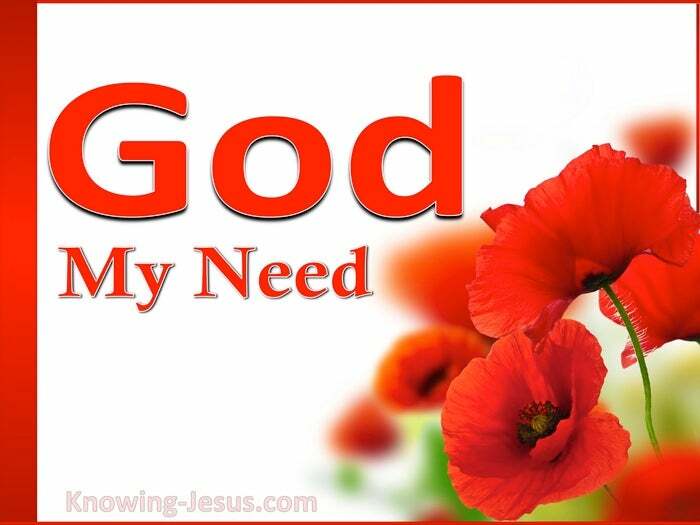 My God shall supply all your needs, according to His riches in glory. We all have a number of needs in our lives. In 1943 Abraham Maslow proposed his own “Hierarchy of Needs,” in every area of life. Starting with basic physiological needs, he progressed up his graduation ladder:- physiological needs; safety needs – the need to love and be loved and to have a sense of belonging – the need for esteem and self-actualisation. However applaudable and true this gradation on the human ‘need’ scale is, two of the most important human needs were overlooked or ignored by Maslow – needs that should have been the capstone of his research and pinnacle of man’s hierarchy of need:- 1 My need of God Himself and 2 And my need of the things in life that God alone can supply. If I fail to recognise these two fundamental needs then I am blind to reality, for man’s meed fulfilled in any other way, becomes an empty vacuum filled with nothingness. But how many Christians fail to understand the depth of our need for God, and how many believers care little about Him, and take Him so much for granted? How many approach God superficially, with no heart-longing for His presence ? Do you remember Martha, the sister of Mary and Lazarus? Oh How she flapped and bothered about the needs and necessities of life. Do you recall her murmurings against the Lord and her focus on self…? Jesus said, Martha, Martha, you are caring and troubled about many things but ONE thing is needful – and Mary has chosen the best part, which shall not be taken from her. Luke 10:41 How we need Him in all things… and how we need to take dear Mary as our precious example. She chose the better part.. a responsive attitude to divine love. Mary’s need of Jesus, was placed before everything – above all in her whole life. We think of this life as being on a timeline with there being one final day… death or the rapture being that last concluding mark of our life. How foolish are our little minds and thoughts – for that is untrue. The termination of this life on earth is nothing more than a portal.. a door into the closer reaches of His love and His heart. 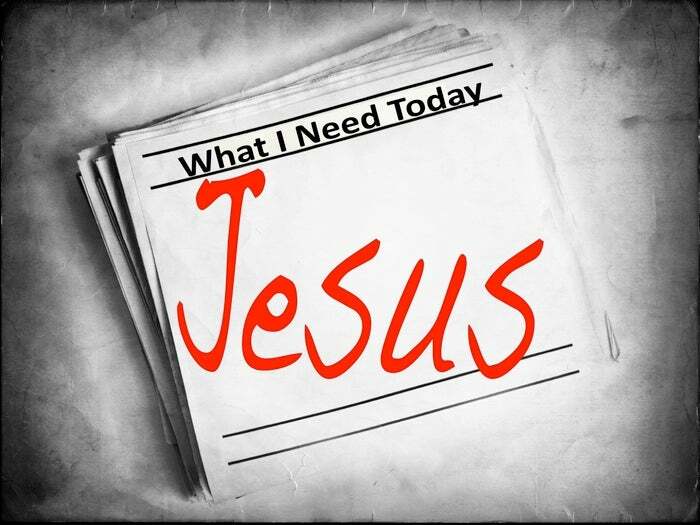 In both time and in eternity, our need of Him will never diminish one jot – but we need to recognise how much we need Him – here and now..There is one needful thing in life – and the pinnacle of all we need, is our need of Christ.